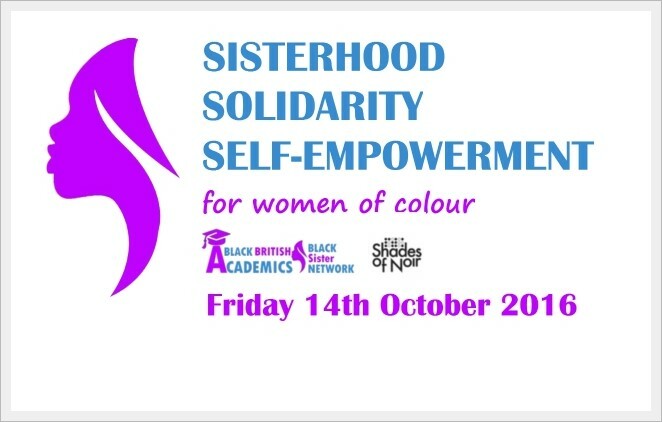 The anniversary book launch for Inside the Ivory Tower: Narratives of Women of Colour Surviving and Thriving in British Academia was hosted by Bournemouth University (BU) on Friday 5th October. BU’s leadership turned out in force, to mark not only the 1st anniversary of the publication of the best-selling book, but the event also marked the 70th Windrush Anniversary and the UN International Decade for People of African Descent. Chair of the Board, Professor Richard Conder, who opened the evening was joined by Vice Chancellor Professor John Vinney, Deputy Vice Chancellor Professor Tim McIntyre-Bhatty and Director of Finance, Dr Graham Beards. Demonstrating their commitment and support for race equality, the university leadership sat in the front row and stayed for the entire evening, which ended after 10pm. Professor Richard Conder, Chair of the Board, shared reflections of his admiration for key proponents of the Civil Rights Movement such as Martin Luther King, and his passion for critical writings by scholar activists including Stokely Carmichael and Angela Davis. Dr Gabriel, Founder of Black British Academics, talked about the importance of developing an effective framework for race equality and social justice and how this could be achieved through the university’s Strategic Plan, BU2025. BU graduate Stacey Kelly-Maher, who has embedded race and gender into her role in the mental health sector, was Master of Ceremonies for the evening. Other speakers include Dr Gillian Klein, Founder of Trentham Books, Dr Daniel Burdsey from the University of Brighton and Dr Shirley Thompson, Patron of Black British Academics and renowned classical composer. She closed the evening with a sample of New Nation Rising, her symphony commissioned to celebrate Her Majesty The Queen’s Golden Jubilee in 2002, to a standing ovation. The evening also included a collective presentation by Bournemouth University’s Student Union (SUBU) from the VP for Education Lenrick Greaves, the Black Students Campaign, Arab and Ethnic Minority Campaign and BU Women in STEM. Guests enjoyed a hot Caribbean buffet during the interval. 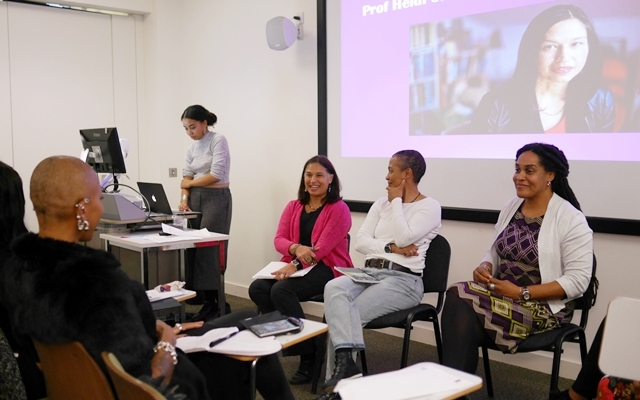 A key part of the programme was the anniversary book launch for Inside the Ivory Tower: Narratives of Women of Colour Surviving and Thriving in British Academia, co-edited by Dr Deborah Gabriel and Prof Shirley Anne Tate. Published in October 2017, it is the top-selling book in the critical race category and there have been seven launches at universities around the country hosting over 500 guests. At several institutions including BU, it has been read by the entire university leadership team as a tool for engendering critical understandings of race and gender inequality. 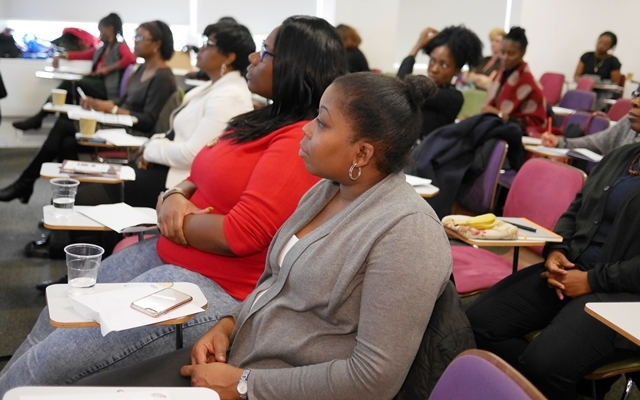 Contributors Dr Josephine Kwhali, Dr Jenny Douglas, Dr Ima Jackson, Dr Elizabeth Opara and Aisha Richards all shared reflections from their chapters as daughters of parents who are from the Windrush generation. Dr Gabriel has secured a contract for the sequel and will be editor of the forthcoming: Transforming the Ivory Tower: Models for Gender Equality and Social Justice, due to be completed in October 2019. Responses to a survey among attendees suggest the ground-breaking event was both successful and transformative. Asked to pick three words to describe the event, 80% said Inspirational, 60% said Thought-Provoking and 60% said Informative. 100% of respondents said the event introduced new information and perspectives and 100% felt it motivated them to contribute to initiatives and activities to enhance race equality. (left to right) Dr Josephine Kwhali, Dr Elizabeth Opara, Dr Jenny Douglas, BA Politics student Nora Maganga, Dr Deborah Gabriel, Dr Ima Jackson and Aisha Richards. (left to right): Dr Graham Beards, Finance Director, Jim Andrews, Chief Operating Officer, Professor Tim McIntyre-Bhatty, Deputy Vice Chancellor, Professor John Vinney, Vice Chancellor and Professor Richard Conder, Chair of the Board.